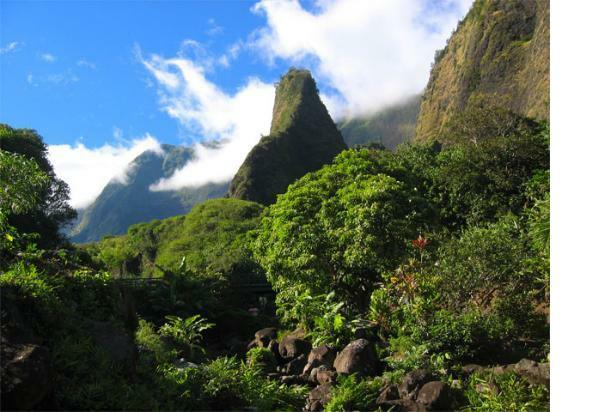 Iao Valley, which literally means "cloud supreme" in Hawaiian language, is a lush, stream-cut valley in West Maui known for its natural beauty and historical significance. The valley is covered in dense rainforest, most of which consists of introduced vegetation on the valley floor. 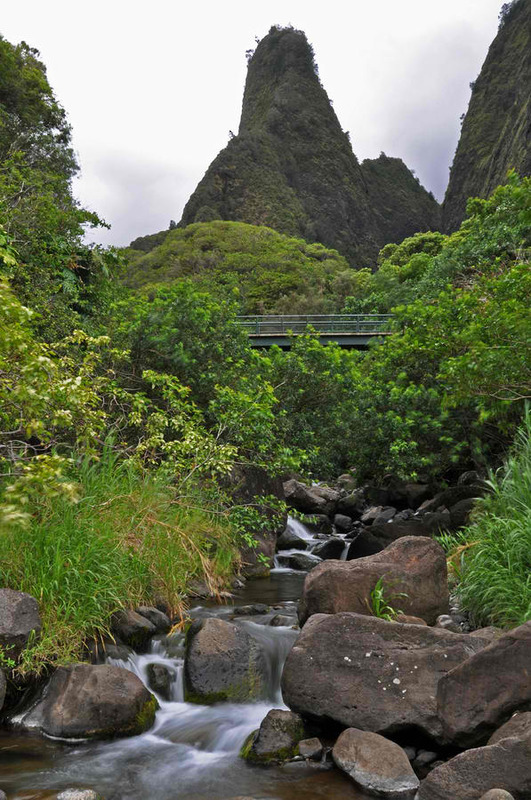 Another attraction in the valley is the natural rock formation called the Iao Needle. The green-covered stone protruding from the valley floor is actually an old basaltic core (volcano remnant). 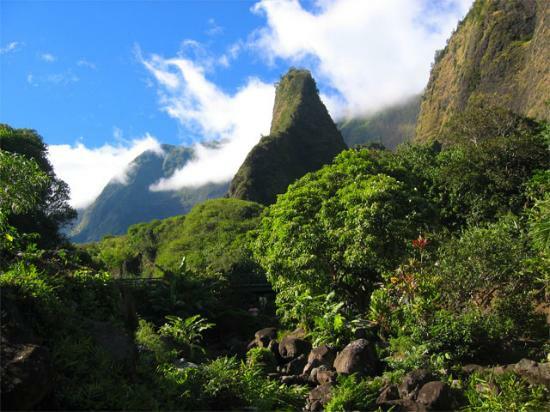 The 'Iao Needle is 2,250 feet above sea level, or 1200 feet tall from the valley floor. 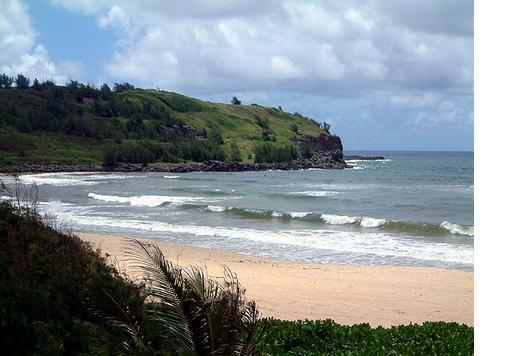 Aside from its natural beauty, the valley is also the site of one of the most famous battles in Hawaiian history. 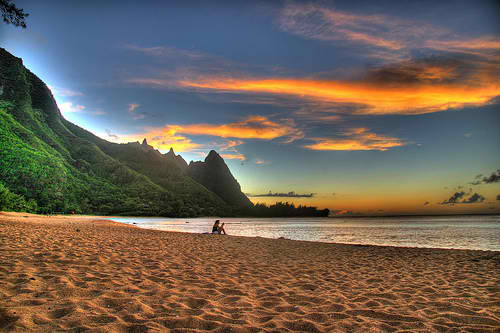 In 1790 King Kamehameha I defeated the Maui army in his quest to unite the Hawaiian Islands. It is said that when the battle was over, the stream was so dammed with all the bodies that the water ran red with blood. The site was named Kepaniwai "damming of the waters." Nearby in the valley you'll find the Kepaniwai Park and Heritage Gardens which features scale models of ethnic buildings and gardens representing the immigration of Hawaiian, American missionary, Chinese, Japanese, Portuguese, Korean, and Filipino cultures.